Aws Kamal Ju’aidy is a 24-year-old young man and the eldest son in a family of five. With his father’ incapability of work brothers’ university fees, the income of the family used to derive from the public social development subsidies and the work of Aws as a plumber at a monthly wage of ILS 1,200. The family was selected o benefit from the Deprived Families Economic Empowerment Programme (DEEP). Of note, the Program is funded by the Islamic Development Bank and implemented by the UNDP in partnership with the Arab Center for Agricultural Development (ACAD) and the Ministry of Social Development (MoSD). On his part, Aws was selected to build up and steer a project. To that end, he joined DEEP training course and developed an action plan for an Event and Wedding Equipment and Supplies Rental project (tables, chairs, speakers, DJ, etc.). 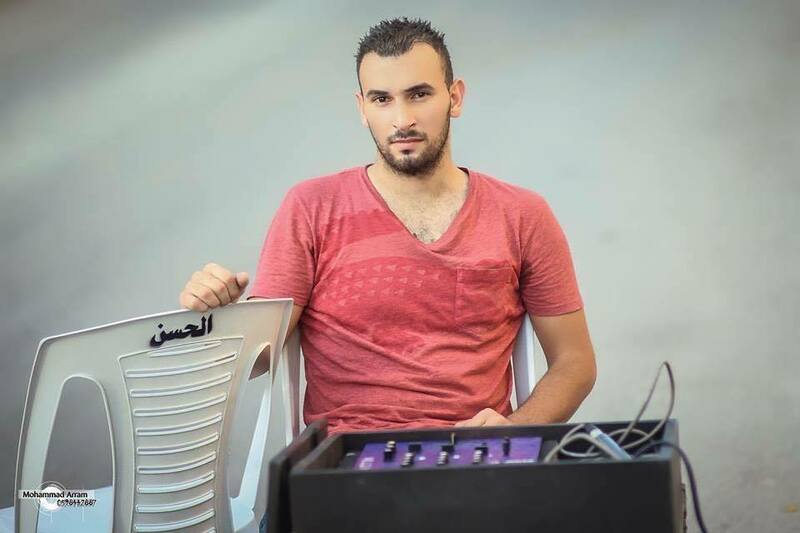 Thanks to Aws hard work, today, a year after the launch of his project, which he named “Al-Hassan”, he has built up his own reputation across Qalqilya governorate. Al-Hassan grew to become the main source of income for Aws’ family. It also covers one of his brothers’ university education fees. Aws also purchased an electric motorcycle to facilitate his movement. In the same vein, he doubled the project capital by increasing the amount of equipment and supplies he has. Currently, Aws is planning to build a storehouse to accommodate the project equipment in order to cut the costs he pays for the shop he rented for that purpose. Believing in his social responsibility and role in society, Aws does not waver to take part and extend a helping hand. 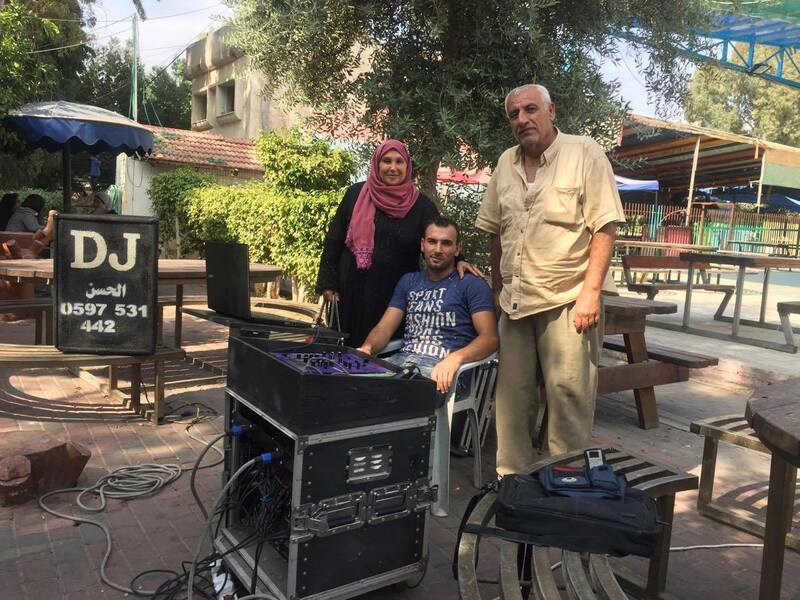 He engages and takes part in providing equipment to some events in the governorate. For example, he offered the equipment and supplies for annual events spearheaded by the MoSD for the benefit of a retirement home and an orphanage. Al-Hasan has not just changed my life. In the beginning, the idea was to start up a grocery. However, when I developed the the action plan, I felt that it would not be feasible; let alone, the large number of competitors and the debt-based sale approach embraced by grocerries.The topics covered in the training helped me cherry pick a successful and feasible project idea; especially, the market study section. My wage as a plumber used to fall far short of my family’s needs and my father’s medications, which were not available at the facilities of the Ministry of Health. Not to mention, my brothers’ univesrity education fees; debt was our often forced resort. Ever after Al-Hasan establishment, I have paid off the debt of my family and partially cover my brothers’ unvierstiy fees. Thank goodness, we are no longer compelled to seek financial help from anyone. The project has brought a tide of change to my financial and social status. My social network has expanded; I have extensive relations with institutions, wedding hall owners, photography studios, and my colleagues, who work in the same domain. My next steps will be building a warehouse next to my family house to keep all the project equipment in. 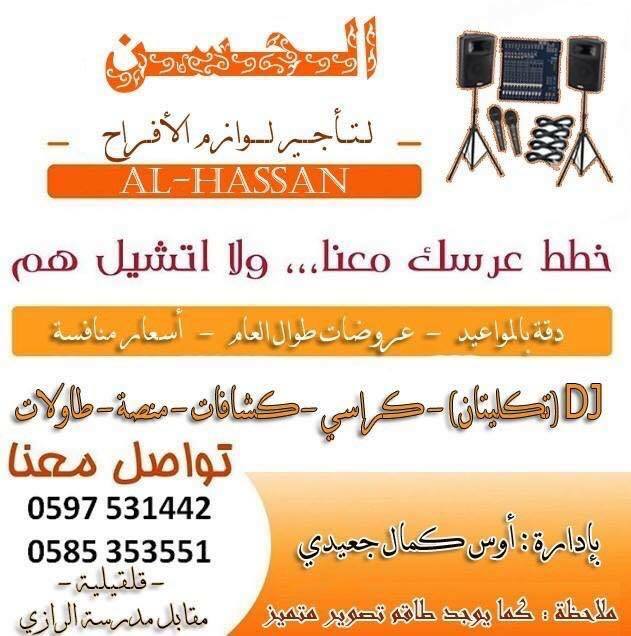 I never stop thinking how to develop my project and stand out to stay ahead of the curve, and thus Al-Hasan grows to become the number one event equipment rental choice at the governorate level.